way causing changes in air pressure that radiate from the source of the sound in waves. Sound can be airborne; typically that of a human voice or impact: for instance the sound of heavy footsteps on a floor. Sound waves vibrate at different rates or frequencies as they move through the air and are measured in cycles per second or Hertz; the faster a sound wave passes a given point, the shorter the wavelength and in turn the higher the frequency. Vibrations in the air caused by the sound determine how loud it is; the stronger the vibrations the greater the ’amplitude’. The length or duration of a sound i.e. it’s reverberation time or echo, is determined by the extent to which the energy is expended on contact with surfaces within a room. Sound is measured in decibels using logarithmic scales; the human ear is incredibly sensitive and the scale needs to reflect this. Decibels ratings are used to measure many classifications of sound and are expressed in different ways to represent the different calculations used and measurements taken. 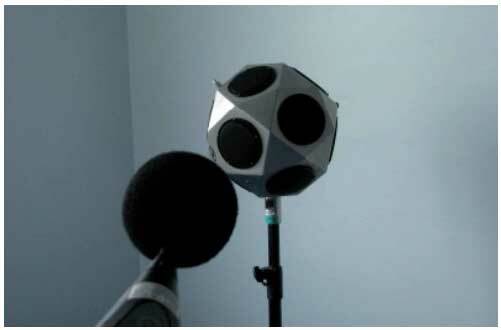 When dB ratings represent sound reduction the dB figure used is the difference between the original sound on one side of a structure and the resulting sound once it has passed through the dividing element (after various adjustments). 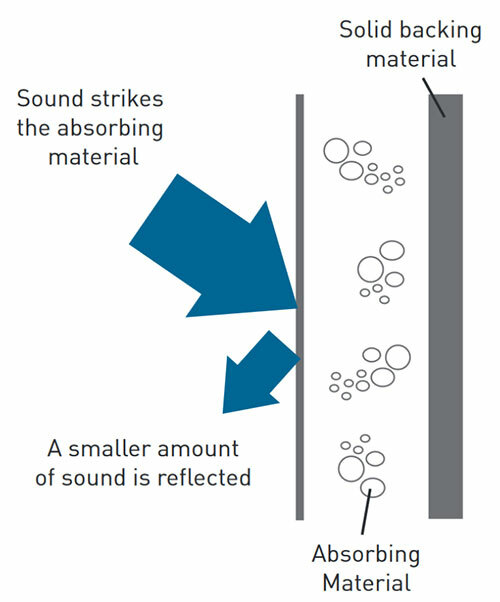 Sound absorption describes the ability of materials to restrict the reflection of sound, doing this by converting the energy of sound into heat. The greater the sound absorption the shorter the reverberation time or echo produced. 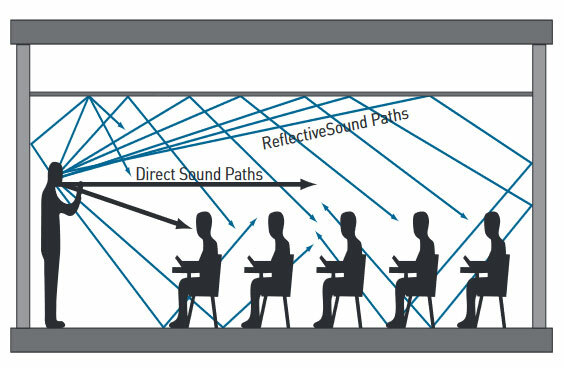 Sound absorption is measured as a co-efficient from 0 to 1.0; the best rating being 1.0. Machines like air conditioning units or fans can operate at moderate levels that make noise that is unobtrusive and is only noticed when turned off. This sort of noise is often unnoticed as it is steady and conveys little information about events around it. As an unintended consequence of normal activities, background noise can be beneficial in masking more sounds from an adjacent room without being loud enough to be noticed in their own right. 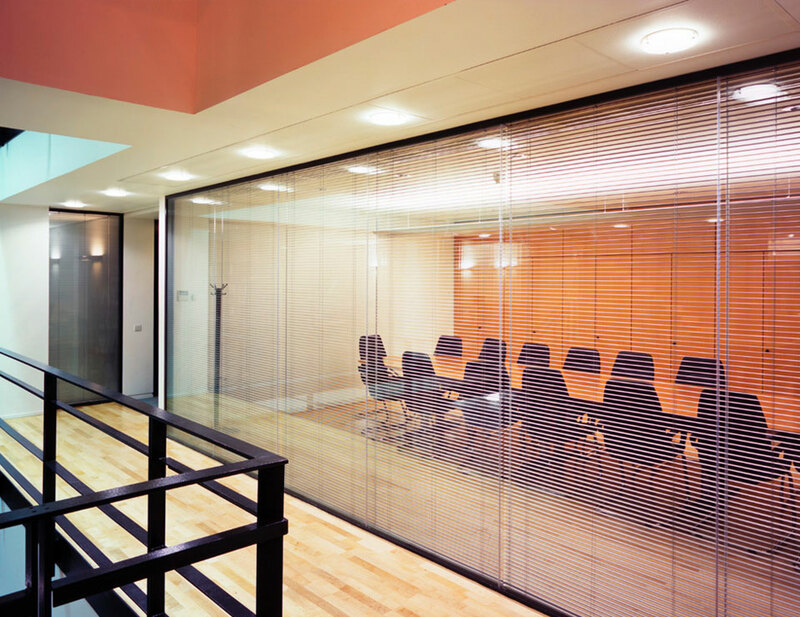 Each of our glass partition systems are engineered to maximize acoustic performance without sacrificing aesthetics. For maximum performance we highly recommend a double glazed partition in which 2 panes of glass provide acoustic reduction along with the air pocket for maximum resistance.